Lilly's Life: No. More. Gaps. I’ve been visiting my mother for a few weeks in BrisVegas Brisbane. I never mention her on my blog because unlike my late father who loved the limelight, she is an incredibly private person. However, having just stumbled upon one of her most closely guarded secrets, I feel the need to share it far and wide. Simply because I know you need all the help you can get too. Mum will understand my need to go public. One day. And if not, I guess she will cut me out of her will and life will go on. You see, my mother looks years younger than she should. I can’t show you a picture of her on the "public internets" because she wouldn't be able to sleep for fear of kidnapping or public ridicule. You will just have to take my word for it. I have always put her youthful, unlined complexion down to genetics and a very healthy lifestyle. And having watched her like a hawk over the years I know for a fact she doesn't use beauty products, she doesn't indulge in surgical enhancements and she refrains from drinking any crazy gypsy potions unless G&Ts are counted. She is 'au naturale' as the French might say. However, there is still a teeny, tiny part of me that wonders if she is holding back on the truth. Perhaps she does get a little help, just like her sister Cecile. You see Aunty Cecile, who is in her late 70s, tells everyone that she is genetically blessed and has no grey hair. Just picture a female Paul McCartney and you will get the idea, wink wink. However, we know she is telling fibs because she has never been able to explain to her kids why there are empty L'Oreal Paris hair colour packets in her rubbish bin. Bit of a giveaway really. As for my mother, I have tried to get to the bottom of her youthful dewiness many times but always come up empty handed (and no, these hands have never delved into her rubbish bins, I can promise you). Well all that changed yesterday. Secrets always have a habit of revealing themselves, don't they? I walked into my mother's ensuite bathroom, minding my own business and there IT was. Standing on the bathroom cabinet, large as life, was THIS product. Brazen really. All things considered. So .....this is what she has been using all these years to maintain her gap free existence? Mmmmm. Luckily for you it is available at all good hardware stores, the world over. Of course when I asked her what she was using it for she coughed and spluttered and looked suitably embarrassed. And it was not lost on me that she quickly hid the product before anyone else got a chance to see it. "Stop it", she said laughing. "This stuff is for my bathroom tiles not me. I'm not hiding anything. Laughter is the real secret to why people stay young, not creams. I keep telling you I don't use anything." So tell me who or what in your life makes you laugh out loud? WARNING: And just in case someone thinks it is a good idea to use NO MORE GAPS on their wrinkles, my mother tells me she really was using this product on her tiles not her face. Yes, she is youthful, smart, funny and apparently does all her own home maintenance herself too. Now you can see where all my problems started, lol. Your poor mother, imagine you for a daughter, lol. Will she read this? No More Gaps. Too funny. I agree though, when we smile we look years younger. It clearly works for her. Give me a good British comedy as well to get me cackling. There are too many to mention. Also lately I have been watching marathon 30 Rock DVDs. who knew Alex Baldwin could be so damn funny. He is so funny and engaging ...that voice. I love 30 Rock too - shame it finishing really. What do you mean you feel sorry for my Mum, he he. So funny, your mother sounds charming, delightful! (apple falling from tree and all that stuff too goes without saying) Stephen Colbert keeps me in stitches ... Jon Stewart too. Have fun. Yes she is sweet and puts up with a lot! Wish we got Jon Stewart here Helen. My cat used to make me laugh---A Lot!!! I LOVE that your Mom makes you laugh...! How great is that, Lilly? And her youthful looks---genetics certainly must play a part in it...But also, maybe, it is her inner attitude about life....She sounds like a really terrific woman---I wish I could meet her, and you, too, my dear. No it is not for one's face Naomi however tempting it may sound. It is for tiles - a filler of sorts lol. recently it's been our grandkids giving us many good laughs. I kept thinking "mind the gap" as I was reading this. All the best to you and your mom. They are gifts of fun and laughs but they do wear me out. I can have too much of them sometimes. They (as all kids really) do offer you a fresh perspective. LOL! YOU make me laugh Lilly! Your mom sounds like a lovely lady. I hope she and you can laugh together for a long time yet. Thanks Betty. She is a lovely lady and more polite and genteel then some of her children anyway, lol. yes, I was suspicious about your aunt's lack of grey hair! Too funny about your mom, and lucky her really! Oh yes Aunty Cecile has greay hair - otherwise how strange that her siblings, all four of them have had silver hair for the best part of 20 odd years. It is the denial that is funny. I guess we all do it in one way or another. And come to think of it, it is a good thing she si not into blogging or reading blogs..
"...Its water based formulation delivers superior flexibility & long term resistance to cracking & crumbling, giving you a lasting finish. This formulation makes it ideal for sealing or filling gaps and joints where expansion and contraction occurs such as between a skirting board and a wall, which can cause rigid fillers and other less flexible gap fillers to crack and fall out....."
Lilly, between looks and attitude, we are not a patch on these older folks. Superiorly flexible, long-term-resistable to cracking and crumbling. And being so different from other less flexible and stuck-up-rigid fillers. You Ugich are the funniest person I know. You have a perfect sense of humor and clever wit. That comment is hilarious and so profound all at the same time. "Delivers superior flexibility and long term resistance to cracking and crumbling, giving you a lasting finish". See, just what we are all looking for in a beauty product. By the way, so when are you winning that flight to Melbourne again? OK as a DIY know-it-all, one would never use Selleys No More Gaps, it's not waterproof. Imagine going swimming or having a bath. Thanks YW, I will pass your advice on! I would not have a clue. HAve you got any advice on face creams while you are at it because mine is not working for me either? Laughter is good for the soul, and the wrinkles too! Ha! Very funny! Your mother is right. My grandchildren make me laugh all the time. Thank you Beth. I am always looking for her secrets so I thought I had discovered something, ha ha. Laughter is it because it makes you feel good about everything. Lucky you with those gorgeous grandchildren. I told my Mum about the blog - she had computer trouble yesterday and could not read it, lucky. But today she probably will lol. Its ok she will be fine, I think. oh my goodness- I had to google it just to be sure! You, my dear, are so clever and witty I find myself holding my breath waiting for the double entendre to appear- and you never disappoint! But its the nuggets of truth inserted, that give such a clear picture and tell such a rich story. Undoubtedly you bear a strong resemblance to you mother in more ways than one! Yes Vicky I am very sarcastic and cynical. I have been teasing my mother for years about how she stays so young. 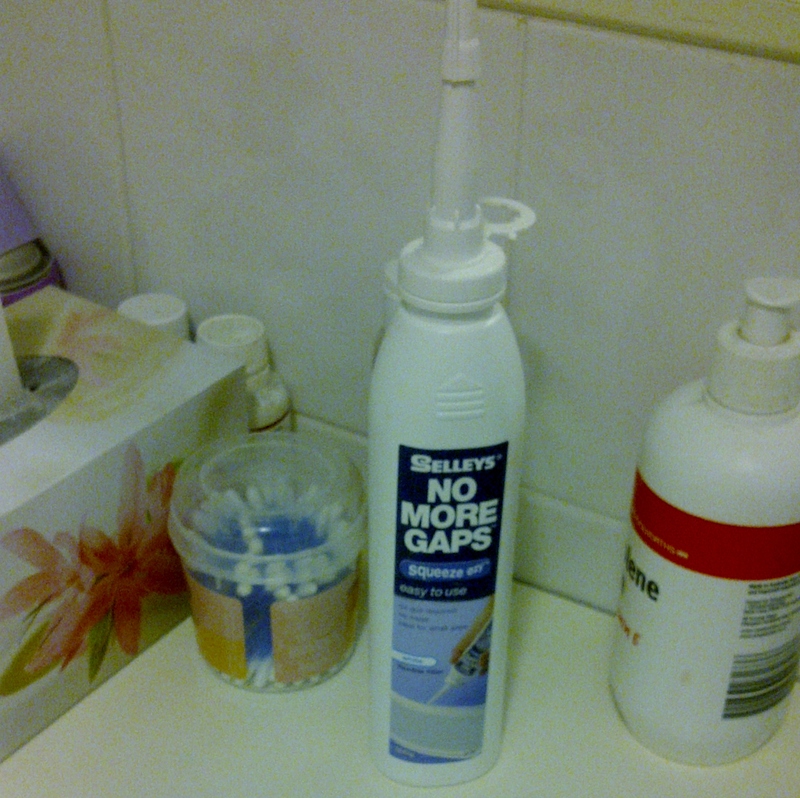 When I walked into her bathroom and found that it made me laugh. Now I keep telling everyone who visits to go checkout her bathroom for the truth. She laughs, sort of, lol. Oh your boys are the best, handsome guys they are. Lilly you are hilarious - great post! Thanks Mrs Kate - good news about that Scot Andy Murray hey? You had me going because for a minute or two I thought you were going to reveal the secret to youth, ha ha ha. Oh your mother must get sick of you and your questions. too funny. Thoroughbreds cannot help it they are born not made. She is just the way she is. As for who makes me laugh. Besides you that would have to be my father, he is hilarious and lots of fun. No there is no secret to youth but just dont give a toss about it. My mum won the genetics lottery really. She also comes from a family of long livers. I doubt I will make it though. My generation has a much cushier and less physical lifestyle. Oh, how funny! Have you in a second believing that your mother was using it as a facial treatment? My husband is very private also. As much as I'd like to post his pictures on facebook, I don't because he doesn't allow me. I'm sorry to learn that your father had passed away. I sure did enjoy reading about him and reading his posts. I send you my "Belated sincere condolence." Aw thanks Tasha, Dad died in April 2011 and I miss him every day. He is in a better place for sure. Yes my mother is very reserved and quite. She ahsnt read this post yet but she will I think. She just laughs at me - she was married to a practical joker for over 50 years so she is used to idiots, lol. Hahahaa my mother is the same way. She is 72 and looks awesome. She won't tell me what her secret is but she does remind me that its natural. Hope life is treating you good Lilly, thanks for stopping in and paying me a little visit. I swear my girfriend was in a Myers store only last week and the assistant was trying to explain to her about one of the skin products. She said you put it on your face and it acts just like spac filla - it filled in the wrinkles and smooths out the skin. She bought it of course and I can guarantee it cost a lot more than No More Gaps. Same principle just in prettier packaging ha ha. Yes Anton I know the product. It is called a Primer. Just like a wall paint primer. You put it on your face as a base coar and it evens it out before you put your foundation on. Bloody ridiculous really. Brilliant story, Lilly! All the best to you and your mum. Thanks for your wishes Mike. It's just as well I have the hide of a rhinoceros, Lilly my love.I still maintain it is the genes, not the "No More Gaps'. I shall have to put my thinking cap on to come up with a suitable pay-back. Seriously though Lilly and all her siblings are very good to their old Mum and she appreciates that very much. Yay, that was one way to get you to read my blog, lol. Oh this is just too wonderful, Lilly! Well this explains a lot really. You were blessed with genetics which explains how you look. I love the affection and laughter you and your mum share. That is what keeps you both so young. What keeps me laughing are fantastic blog posts like yours. Aww thanks Kay, much appreciated. LOL Barbara. I am the same already. I now avoid the hairdressers for just that reason lol. Hours trying to avoid my reflection in the mirror is no fun.